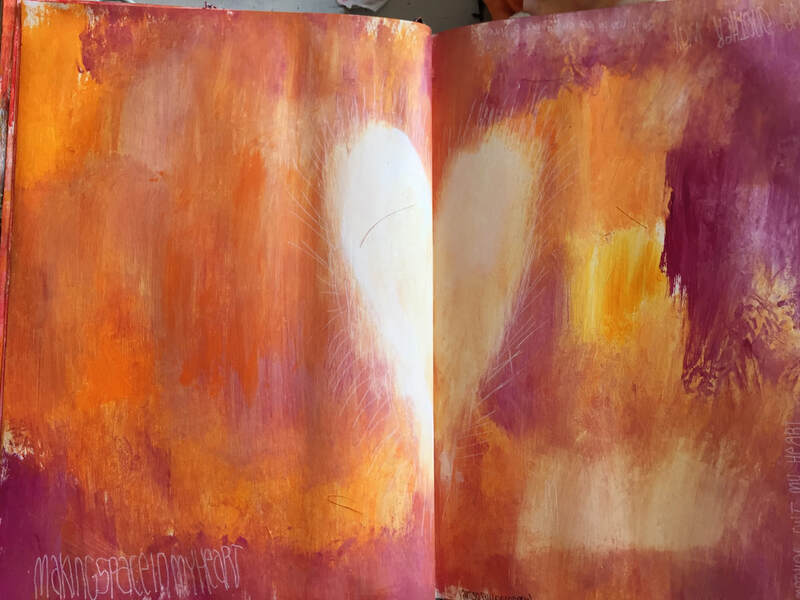 Soulmap journaling online community is a gathering of brave creative souls willing to explore their inner landscape using the gift of creativity. Tending to our inner life in the synergistic environment of a group using the language of the unconscious Soulmap journaling allows us to go deep and meet our truth, both in our own work and in the work of others. We gather under clear boundaries around privacy, respect and self care using a virtual space to tend to the sacred and the profane we will engage with each other both live and using a secret facebook group. Using a deck of divination cards we will work to a theme each week - the theme will follow us over the week and then each Wednesday we will meet on zoom to have a 1 1/2 hour llive session (6pm Pacific time) where we will share our thoughts and process. During this time I will show you a basic technique which might help you engage with the theme. A live facebook community will then hold our ongoing conversation and sharing. The subscription to the group is on a monthly basis - $100 NZ per month (go here for the current exchange rate) or pay for a full year at $1000 and receive a $200 discount. You will need courage, openness, a journal to work in (that can be a recycled book), basic art supplies such as paint brushes, markers, glue, scissors, magazines, pencils etc. I like to use easily available and cheap supplies to make the work accessible and steer away from the thinking that you have to have fancy things for it to work. This will suit anyone with a curiosity about their inner life and willingness to engage with a process that requires courage and imperfection.